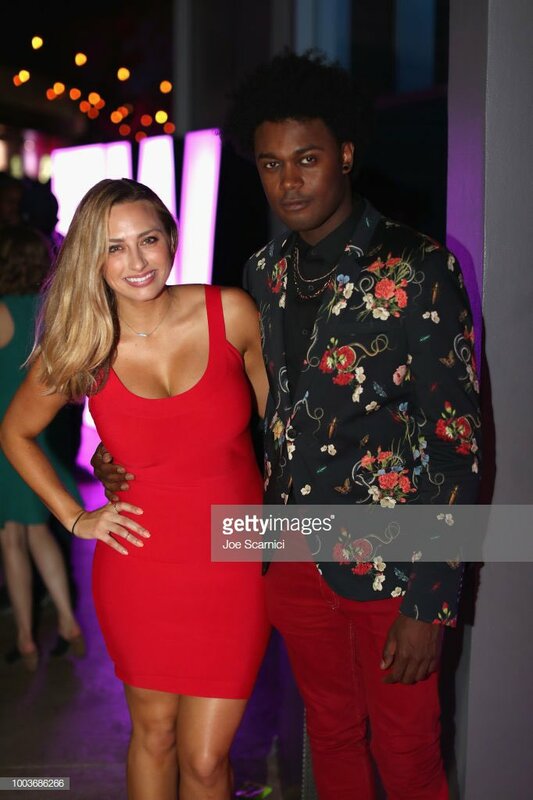 Echo Kellum – Bio, Wife, Why is He Leaving The Arrow, Will He Return? As an actor, Echo is now best known for the role he played on Arrow, a superhero drama series in which he played Curtis Holt. He is also renowned for his appearances in Ben and Kate, a single-camera sitcom TV series in which he played the role of Tommy. Echo Kellum was born on the 29th day of August 1982 in Chicago, Illinois. The identity of his parents has not been disclosed. Apparently, he is not an only child because he once talked about his brother, a musical artiste who died quite untimely. Apart from this, nothing more is known about his siblings. This is mainly because he has remained tight-lipped about that area of his life. Many fans have remained in the dark about his family. However, it is known that he grew up in Chicago. Details of where he had his elementary and high school education have not been given; however, we do know that he developed an interest in comedy and acting and wanted to do great in the entertainment industry right from his childhood. Some reports show that Echo was always cracking people up even as a kid and had hopes of becoming a great comedian. His drive to succeed as an entertainer led him to study at The Groundlings, an improvisational and sketch comedy troupe and school which is based in the city of Los Angeles, California. The Groundlings has been responsible for launching many famous careers. While studying there, Echo improved on his skills at cracking ribs with his comedy. Echo also attended the iO West, a theater and training center in Los Angeles. Here he honed his skills as an actor. Apart from The Groundlings and iO West, Echo also joined the Upright Citizens Brigade, a sketch comedy group with whom he gained experience as a comedian. Echo started out in the entertainment industry as a comedian in Los Angeles. He performed on stage as a stand-up comedian and also took part in stage plays. However, he soon branched out from the theater to films and television series. The actor scored his first major role on TV in 2012 when he joined the cast of Ben and Kate, an American single-camera sitcom TV series which aired on FOX. The series gained him some fans around the US and gave some confidence to pursue his acting interest in full. Later in the same year, he featured in Comedy Bang! Bang!, an audio podcast and appeared in Hot in Cleveland, another sitcom. In 2013, Echo scored a role in Sean Saves the World, an American sitcom in which he played the role of Hunter. His display on the series gained him lots of praise and further cemented his reputation as a good actor. The same year he landed a recurring role in Rick and Morty, an adult animated science fiction sitcom. He went on to appear in four more series; The Gates, NTSF:SD: SUV, Comedy Bang! Bang! and Key and Peele. 2015 turned out to be one of Echo’s best years as an actor. It was the year he got his biggest breakthrough when he was cast in Arrow, a superhero TV series in which he played the role of Curtis Holt / Mister Terrific. The series which was very popular launched Echo into another level of popularity. He became one of the most talked about TV stars in America as his action in the series continued. Still, in 2015, Echo landed roles in six other series namely; Shangri-La Suite, Dead People, A to Z, Drunk History, The League and You’re the Worst. Apparently, Echo finished 2015 as a very fulfilled actor. In 2016, Echo landed two voice roles in Pig Goat Banana Cricket, an animated TV series and Elena of Avalor, a computer-animated adventure TV series. The next year, he scored a role in Girlfriend’s Day, an independent comedy-drama film and Legends of Tomorrow, a superhero TV series. Why is He Leaving The Arrow, Will He Return? In 2019, after featuring on the Arrow TV series for about four seasons and having appeared in 61 episodes, it was announced that Echo was leaving the show, to the consternation of his many fans. The news of his exit left many viewers of the series quite saddened and questions were asked about why he wanted to leave. Explaining why he was leaving the show, Echo revealed that he wanted to start spending more time with his family. He revealed that he had kids and that he was not making enough time for them, hence, his decision to quit and focus on being with his family some more. Echo also explained that he wanted to pursue other areas of interest including music, directing, and writing. However, the actor revealed that he may soon return to the show, explaining that he is available whenever the producers call out to him in the near future. Echo Kellum has talked about having kids before but he has hardly talked about having a wife. The actor is apparently in love with Lyndsi LaRose, an actress, and writer. The couple has been sharing pictures of themselves on their Instagram pages, showering loving words on themselves as they visit different places together. However, it safe to say, at the moment, that Echo is an unmarried father who is enjoying the thrills of fatherhood.